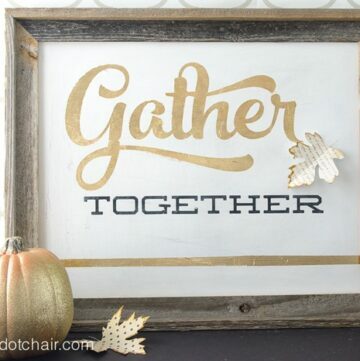 You are here: Home / Crafts / Thanksgiving Advent Ideas GALORE! So are you ready to celebrate the 12 days of Thanksgiving??? (never heard of it you ask, well I just made it up ha ha ha ha)…. Go make an Advent Calendar– to find out how, hop on over here for directions to make it!! Here are some ideas that I hope will peak your interest! I made a Turkey and a Pumpkin with some left over charm pieces. You will have PLENTY to make 12 things to fit in all the pockets if you want! I just “drew” the Turkey but if you are interested let me know by leaving a comment and I can put up the directions/pattern here. It would be easy to think of 12 little “things” to make for your pockets.. you could make, leaves, pumpkins, pilgrim hats, turkeys, boats… the list goes on- look for online coloring pages for shapes to use. Fill the pockets with 12 facts about Thanksgiving: just go to Wikipedia, you’ll find out more than you ever thought you’d want to know about Thanksgiving! What about a “Quote a Day” about Gratitude? Here are 12 I found online. 2. 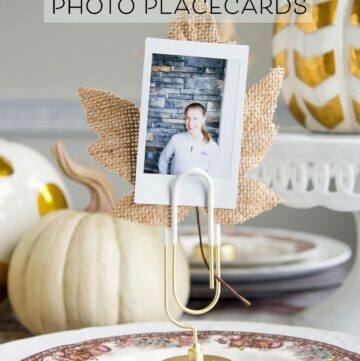 Thanksgiving’s getting close, let’s make a centerpiece for our Thanksgiving table! 3. 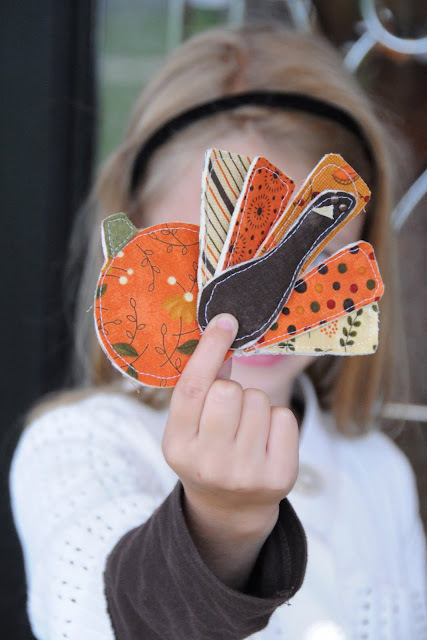 Let’s get our fingers dirty and make place cards for Thanksgiving Dinner. 4. Color a Picture to hang on our wall. 5. Make “crackers” to have at Thanksgiving Dinner. 6. Don’t be fooled! Let’s turn an Oreo into a Turkey! 7. Let’s make Bingo cards to keep our guests entertained on Thanksgiving day! 8. Turn a pine cone into a Turkey! 9. Go on a nature hike and gather fall leaves! 11. Build your own Mayflower! 12. Why not dress up to fit the part on Thanksgiving day? There is always Good Ole’ Candy? I mean who doesn’t love that! 1- Today write a letter letting your teachers know how much you appreciate them. 2- Don’t take things for granted, find something today that you can give to someone who needs it more than you. 3-Today, find a way to serve your neighbor. 5-Write a sincere letter to someone who has had a profound influence in your life. 6- Say “thank you” at least 10 times today. 8- Bake a special treat for someone in your life who you truly appreciate. 9- For one week, in your prayers, only thank God for the blessings in your life, don’t ask for anything. 10- Give someone a HUG! 11- Do a chore today without being asked. 12- Call your parents and tell them how grateful you are for everything they have ever done for you. Angela @ A Bushel and a Peck listed out activities for the calendar she made last year. So let me know! What do you think? If you have done something like this before post a link, I’d love to repost them here to share with everyone! Fabulous as always!! I LOVE this. I’ll be doing it asap. And hope you don’t mind if I link to this post!? Oh, this is ingenious!!! I absolutely love the calendar and all of your ideas. The turkey is too stinkin’ cute. :) Thanks so much for sharing this. Now I have to make one. Oooo, just think…a Halloween one or even a birthday one. LOL! This looks awesome Melissa! You are so creative! question for you, which is totally random, but do you mind sharing what paint you used in your craft room and your daughters bedroom? That is a cute calendar! LOVE this idea! Thanks for sharing. I’m linking this post to my blog so I can have all of your great ideas for what to do each day. Thanks. This is awesome and much better than trying to fill all 30 days! I love the colors and your little quilited turkey. So cute and all your ideas should be enough to fill that calendar up with something different each year just based on what stage your children are in. I just love it. 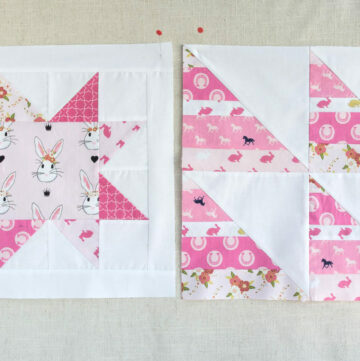 I just started cutting out squares for mine today – perfect timing. Thanks for all the ideas. Love it! Love it! Love it! Very creative! I love it! You are so talented to be able to make this up. The colors, turkey, and ways to use the pockets are perfect. Wishing I could have gone to St. James with you. I LOVE that place and I was one of the crazy ones last year and brought the girls (in a stroller). Thank heavens they were so good! What a great idea! I’d love to make this! Beautiful work! Love the “craft a day” idea for inside. I’m so inspired, I’m heading to the fabric store right NOW! Very, very cute! 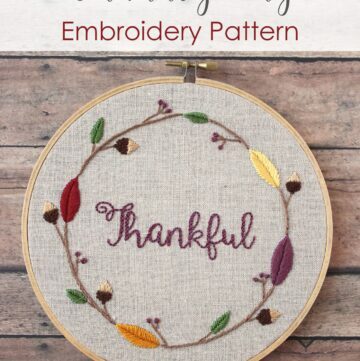 I’d love the pattern for the turkey- I want to know how you made the fabric seem so thick. Thanks! This is a fantastic post. 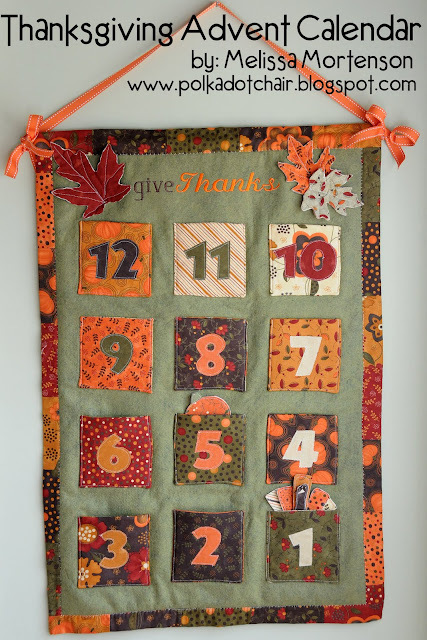 I don’t think I have ever seen a thanksgiving advent calendar. The number of ideas you have listed and the gratitude quotes are just wonderful. Thank you! Hello! I’ve been reading your web site for a while now and finally got the bravery to go ahead and give you a shout out from Houston Texas! Just wanted to mention keep up the good work!